A topographical survey, also traditionally known as a land survey, records the accurate positioning and measurements of natural and man-made features in the area of land being surveyed. Basically, it’s the aerial or ‘bird’s eye view’ of a land area in diagrammatic form. They’re as all-encompassing as the customer requires them to be; some surveys are very detailed in that specifics such as drain inspection covers and even rubbish bins and post boxes will be recorded. Various land projects could start with a topographical survey including planning new building or an entire development, repositioning boundaries and designing drainage systems. How is a topographical survey carried out? Professional surveying specialists undertake topographical surveys using precise advanced measuring and recording equipment including GPS positioning, laser measurement devices, CAD (Computer Aided Design) along with, at times, the humble tape measure. If you’ve seen people with tripods with what looks like a small camera on top by roadsides or on areas of land, these are likely surveyors setting up a ‘total station’ where plots of single points are taken. From here data is recorded at each point to build up a detailed picture of the land areas and the features on it whether a natural one such as a tree, large bush or man-made ones such as walls and other structures. When the site surveying part of the process is complete, the survey is drawn up back at base using CAD software and maybe old fashioned pencil and paper to produce the final survey in diagrammatic form. 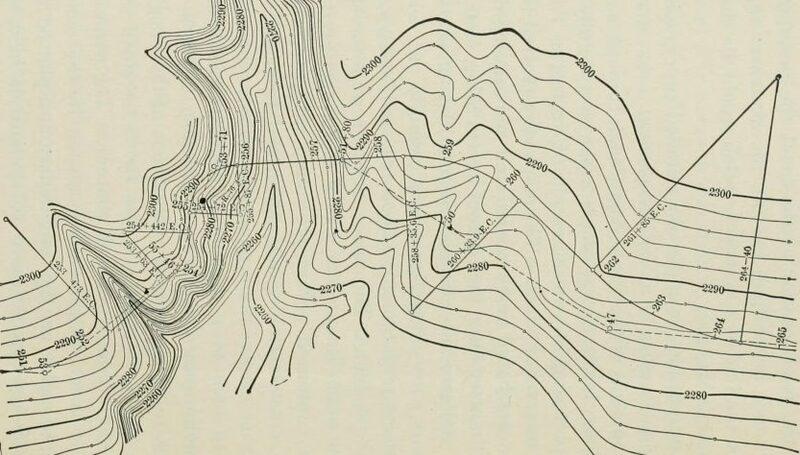 Other drawings to support the main topographical version such as elevations and specific sections of the site may be made. A final check on the accuracy of the survey will be completed before the drawings and any supporting information is submitted to the client. Drawings – elevations and specific recordings such as, say, street lighting may be asked for along with the topographical plan. The drawings are provided in CAD or PDF format to the client. 3D points – data that can be used to create a 3D model of the land area can be provided. Photos – if these are needed, they can be supplied. What aspects of a land area are surveyed? As mentioned earlier, surveys can contain considerable detail if required down to the positions of post boxes and manhole covers, but what is recorded will depend on the client’s requirements; the survey company will tailor the topographical survey accordingly. Who might require a topographical survey? A wide range of clients from an individual building a house on a single plot of land to a developer building hundreds of new homes. Architects, engineers and utility companies may also require surveys at various times. Professionalism; what’s their website like? Do they handle your enquiry promptly and informatively? Take your time in choosing a survey company and don’t rush; ensure you factor in when the survey should be finished by so allowing ample time to choose the right people for the job.